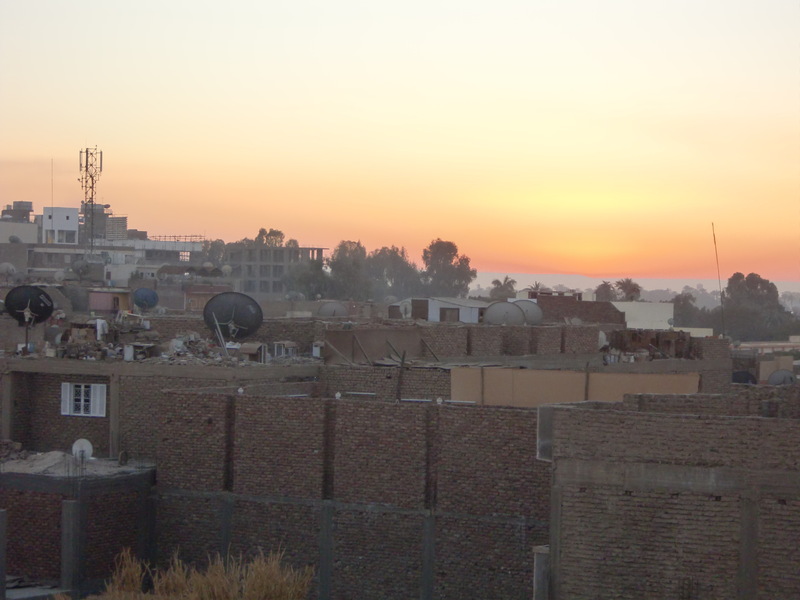 DAY ONE: We took the night train from Giza to Luxor, arriving at breakfast time into a bustling throng of opportunistic locals. No chance, guys! 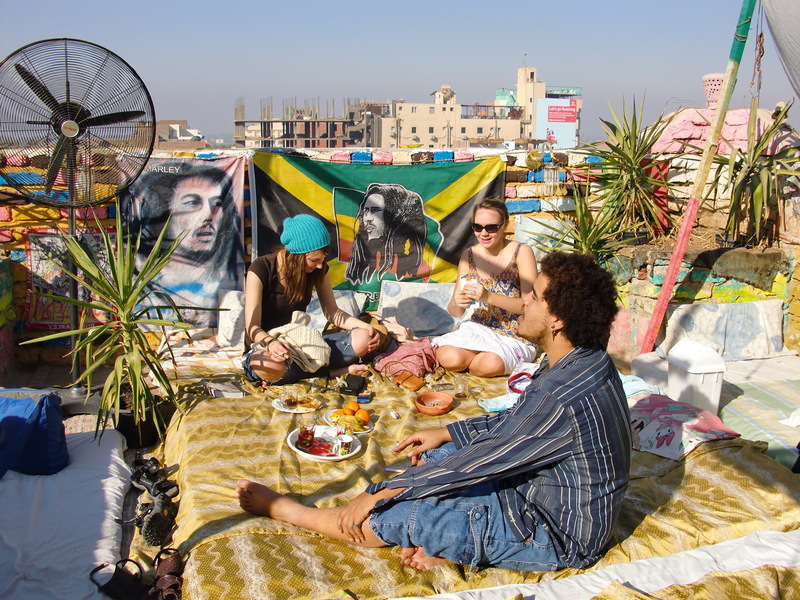 Of course, it was too early to get a room, but arriving at the Bob Marley hostel the friendly staff ushered Emmi, Gwen & Derreck (who we’d met at the hostel in Cairo) & I up to the roof terrace for coffee & fruit. 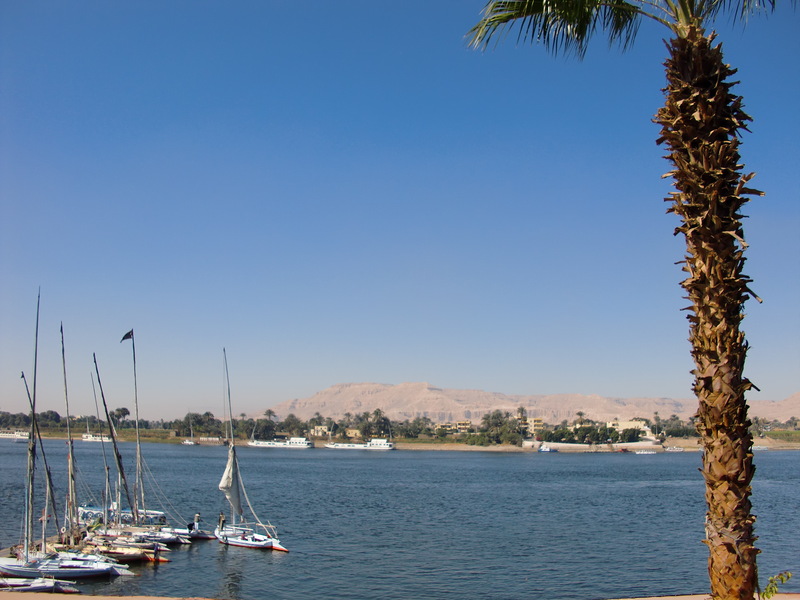 So we wandered into the centre of Luxor, past Luxor temple, and then a couple of kilometres up the corniche of the Nile. Later we headed back to the hostel for sunset on the roof terrrace. At 5.15 on the dot, all the muezzins start calling the faithful to prayer. From this height, it’s an absolutely amazing wall of sound, amplified from every direction. 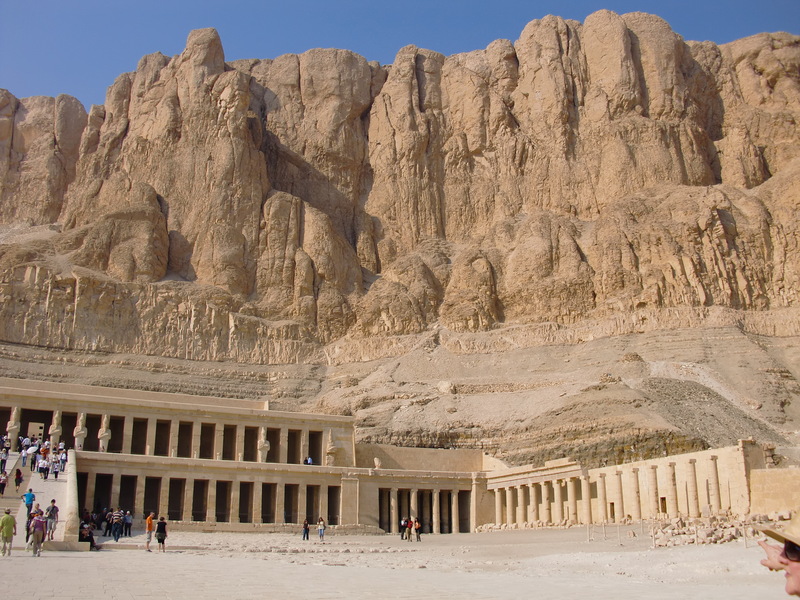 Then on to Deir-el-Bahri, also known as the temple of Queen Hatshepshut. 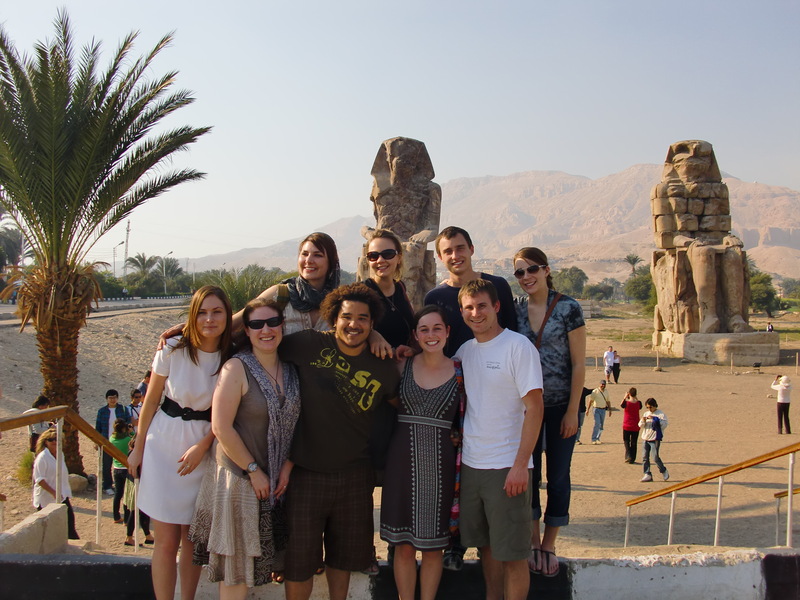 Bob Marley Hostel team shot at the Colossus of Memnon. 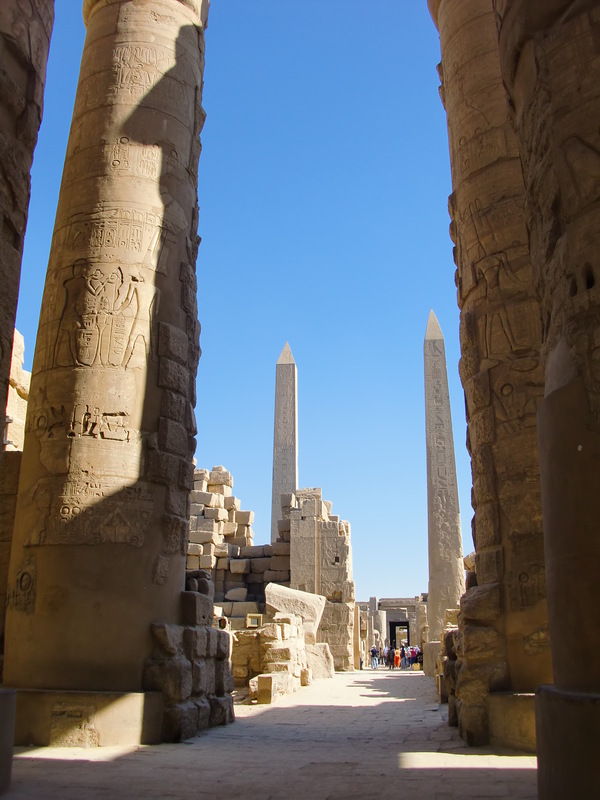 DAY THREE: A proper visit to Luxor temple, rather than just passing by. 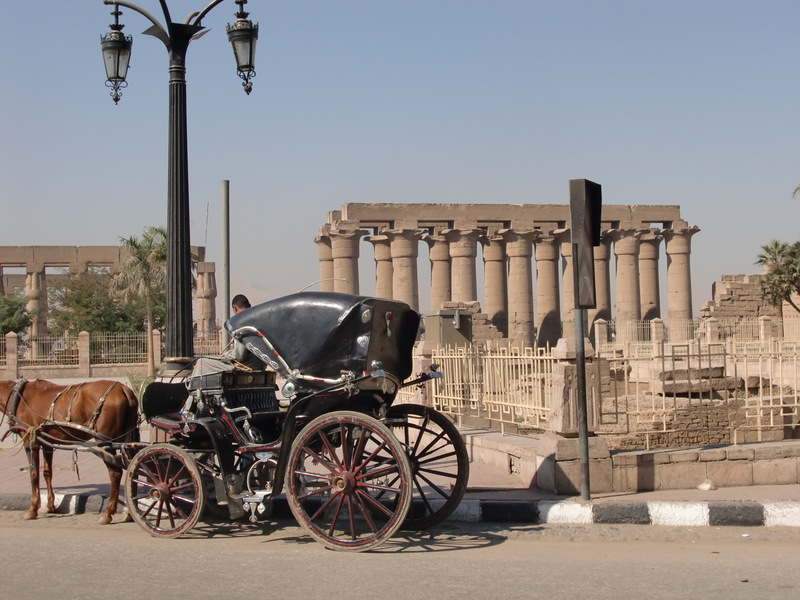 Here’s one of the ubiquitous caleches (which, somewhat unfortunately, make Luxor smell of things that come out of a horse’s back end…). 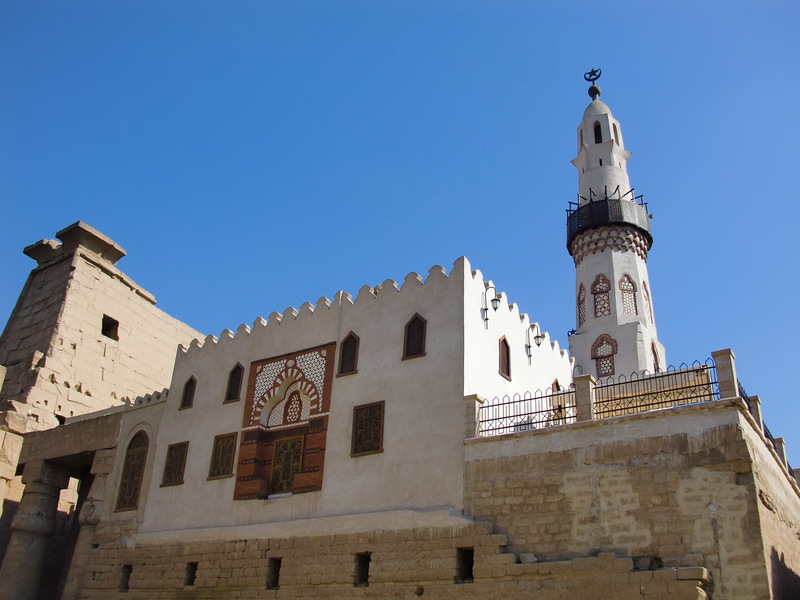 I can’t imagine something this big was ever lost, buried in the sand, but in the 13th century they built a mosque on top of part of Luxor temple?! 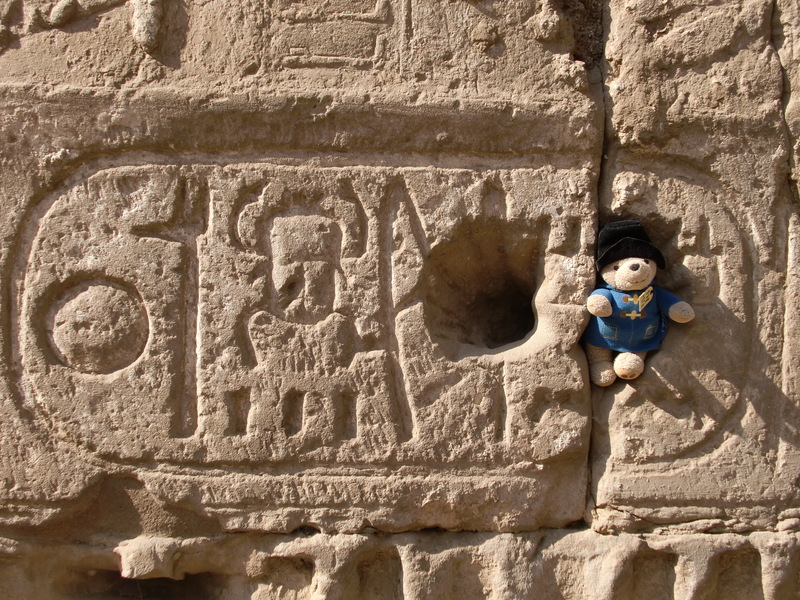 …and then in c. 17th century the Christians painted over some of the carvings. Ironically, that actually helped to preserve it. 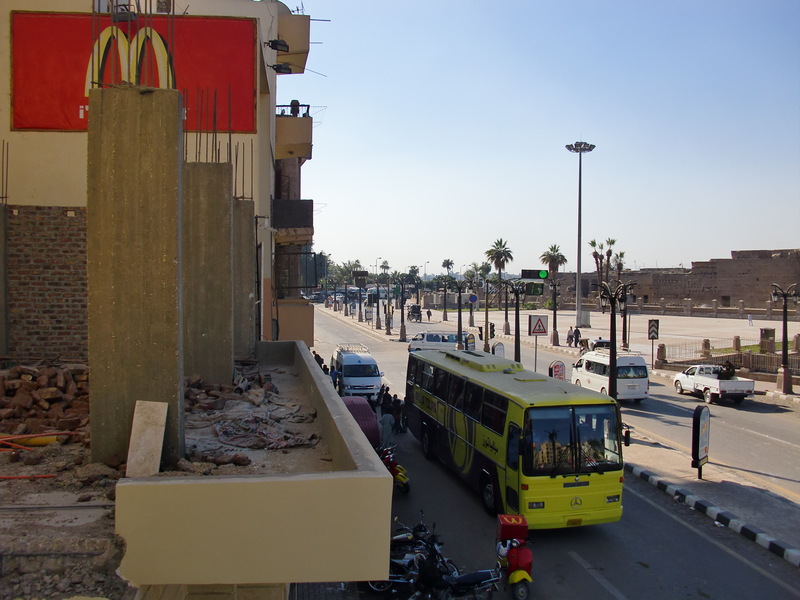 And this is just plain bloody stupid: 52-seater bus loads of Americans pulling up outside the new (only) McDonald’s opposite the temple to get their “fix”. 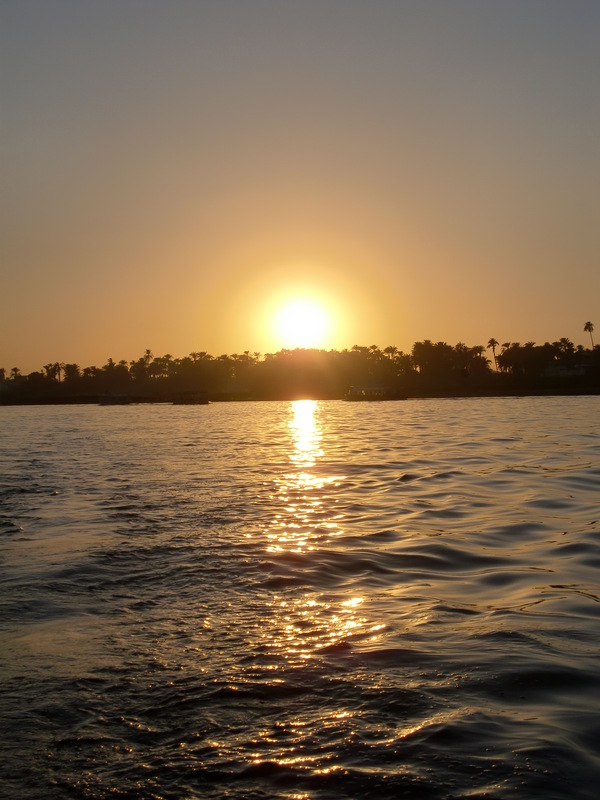 This entry was posted in Africa, Egypt, Travel and tagged Bob Marley Hostel, Caleche, Cartouche, Colossus Of Memnon, Corniche, Deir-el-Bahri, Felucca, Hatshepsut, Karnak, Luxor, Luxor Temple, Marmelade, McDonald's, Mosque, Muezzin, Nile, Paddington, Queen Hatshepsut, Seti II, Setnakht, Siptah, Tausert, Valley Of The Kings by littlegingerkid. Bookmark the permalink.